No matter what service you’re being provided, you can rest assured that our stylists and technicians will be using some of the finest and safest products in their respected industry. 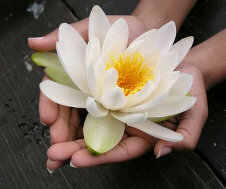 Tranquility Salon & Skin Care takes your beauty and your health seriously and it starts with the products that we use. Our staff is constantly researching the industry’s newest innovations. We stay in tune with today’s trends and the best products to produce the desired results for our clients. If you would like to maintain or improve your hair and skin’s health, ask one of our staff members. They have the knowledge to recommend the products that are right for your lifestyle. 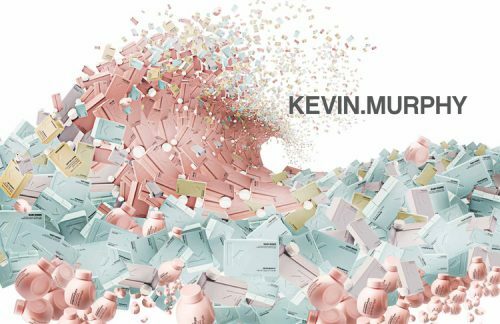 Born from the same philosophy as skincare, KEVIN.MURPHY products are weightlessly designed to deliver performance, strength and longevity. When searching the world for ingredients, KEVIN.MURPHY looked for companies that use micro cultivation, organic growing practices, or ecologically sound wild harvesting techniques to ensure the KEVIN.MURPHY range is of the very highest natural quality. Vitamins and amino acids repair the outer surface of the hair, thickening the hair and reducing the formation of split ends. All KEVIN.MURPHY hair products are sulphate free, paraben free and cruelty free. ELEVEN Australia is a fresh approach to hair and body care. Starting in 2011 with their Miracle Hair Treatment, ELEVEN Australia has now grown to a 27 product range for everyone. Their belief is that effective products come from effective ingredients. Ingredients such as organic cucumber, hydrolysed soy & wheat proteins, papaya extract, silk amino acids, shea butter, and avocado, coconut, macadamia nut & organic argan oils! With PETA approval, recyclable packaging and paraben free formulas, what’s not to love?! Loma Organics are high performing products with naturally healing ingredients and essential oil based fragrances. From the beginning, with product purity at the forefront, all Loma products are paraben and gluten free, sulfate free and sodium chloride free. Loma pioneered and set the standard for the use of Certified Organic Aloe Vera Gel, the primary base for all Loma products. Loma one of the last independently owned and operated brands in the professional beauty industry, actually manufacturing 100% of its own products, and each product is hand crafted in small batches ensuring purity. Designed to protect, preserve and promote the health of color treated and chemically serviced hair, Eufora has used it’s unique blend of botanical extracts and Aloe Vera properties to design the most natural way to keep your hair looking beautiful. Eufora believe’s it’s their responsibility to create products with unparalleled performance that respect the environment and your health. Eufora products are exclusively sold through independent and carefully hand picked salons, as they have been since day one. Eufora believes that passion requires careful cultivation, always driving the integrity and success of their brand by the desire and passion to improve your hair, skin and health! Eufora Hero for Men provides real solutions for hair, scalp and skin issues specific to men. Proprietary technology addresses concerns such as: thin, fine or thinning hair, scalp and skin conditions that cause itching and flaking, excess sebum production and greasiness, and sensitivity to grooming products. Hero does not include undesirable ingredients, such as petrolatum, that can contribute to scalp irritation and clogged hair follicles. They never use artificial colors, and their aromas are a blend of pure essential oils not artificial substitutes. The secret behind this line’s superior performance is in Eufora’s own ProAmino Peptide Complex, a synergy of plant and skin care science. Transform your daily shower and shave routine into the ultimate grooming experience. 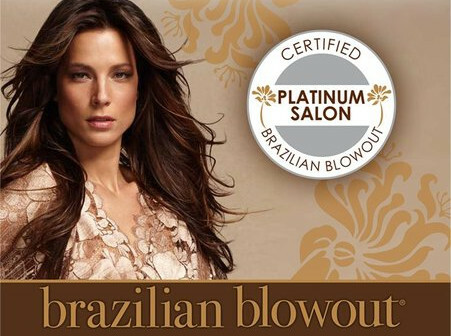 The sole purpose of Brazilian Blowout’s Acai Hair Care products is extending the life of the Brazilian Blowout, providing a continual and cumulative smoothing effect in between professional treatments. Get smooth, healthy, frizz-free hair with radiant shine through Brazilian Blowout professional smoothing treatments, improving your hair’s health and condition by creating a protective protein layer around the hair shaft, eliminating frizz and smoothing the cuticle. Image Skincare is an evidence-based clinical skin care company, providing professional skin care products and effective skin care solutions. 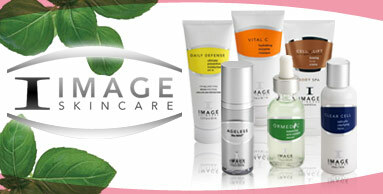 All Image Skincare products are manufactured in the USA and are unparalleled in their quality in today’s marketplace. Image was one of the first skincare companies that started to remove parabens from its product line; they’re dedicated to offering safe products without the use of chemical preservatives, and to using superior ingredients to achieve outstanding results. REN gives you groundbreaking product formulation, the latest hi-tech actives, rigorous product testing and clinically proven results. REN uses only 100% plant and mineral derived actives and is free from skin-unfriendly synthetic ingredients. 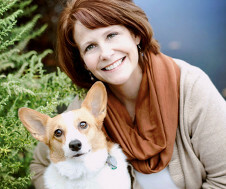 REN’s approach is to make Clean products – modern, sophisticated, effective, pleasurable to use products that are free from the skin-unfriendly ingredients routinely used in the skincare industry today, and REN does not test any of their products on animals. REN believes that the texture, fragrance and experience of using REN can make the world a slightly nicer place to be and make us feel slightly nicer being here. Dr. Hauschka Skin Care began as a developer of natural medicines in 1935, and was considered avant-garde and pioneering in a society that was barely aware of homeopathic preparations. For years, he considered launching a natural skin care range to complement his medicines, however, his ideas only became a reality in the early 1960s when he met esthetician, Elisabeth Sigmund. They jointly created solutions for stable cream bases without chemical and/or synthetic emulsifiers and scented with natural essential oils. The revolutionary concepts Elisabeth Sigmund and Dr. Hauschka developed in the 1960s are now the standards by which superior natural skin care products are defined today. Dr. Hauschka Skin Care Decorative Cosmetics are created with natural colors to enhance your unique beauty. Introduced in 1999, this complete range of Decorative Cosmetics is based on the Dr.Hauschka Skin Care concept: with natural ingredients and a formula that not only adorns but at the same time nurtures. High-quality plant oils and selected medicinal herbs make this possible. They use medicinal plant extracts with mineral pigments, one of the safest ingredients in cosmetics, and select only mineral pigments that meet purity regulations. They are that are mined in a way that disrupts nature as little as possible, and are gentle enough for even the most sensitive skins, helping to retain moisture and protecting against external influences. Jane Iredale was the first full makeup line on the market to offer not just color enhancement, but also benefits to the skin. Their products use the highest quality micronized mineral ingredients available, ensuring satisfaction with performance, coverage, application, texture and broad spectrum sun protection. Jane Iredale makes a conscious effort to include anti-irritant ingredients in their products, and where preservatives are needed, they use natural preservatives, always excluding parabens. Jane Iredale products are safety tested, allergy tested, clinically tested, and dermatologist tested to avoid any ingredients that may be skin sensitizers, and all products are certified cruelty-free by PETA. 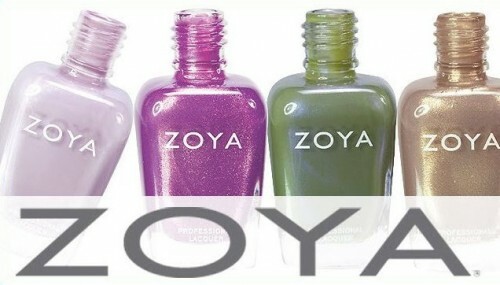 Zoya Professional Nail Lacquer has been winning praise and recognition for its healthy, long wearing formula. As the first to remove toxic ingredients from its formulations, Zoya maintains its focus on the health and well being of salons, spas and consumers. Vegan-friendly and completely free of formaldehyde, toluene, DBP, and camphor, Zoya is the smart choice for women with allergies, skin sensitivities, or who may be pregnant. Cuccio Naturalé was the first natural nail, hand and foot care treatment product line. 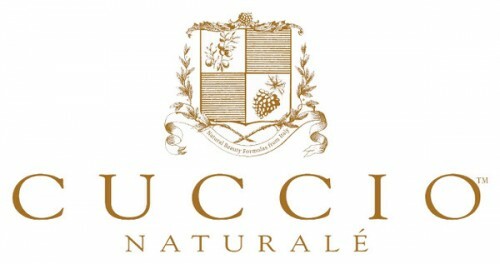 Cuccio Naturalé was developed in the Tuscan Region of Italy, where these unique professional products were formulated from the finest fruit extracts & botanicals to give you beautiful longer looking natural nails and younger looking hands. Age shows first in the hands and feet, where the skin is thinner than in other areas of the body, and these products are formulated for the delicate skin of the hands and feet. Cuccio Naturalé is the ultimate spa enhancement line that turns an ordinary manicure and pedicure into an extraordinary spa experience. 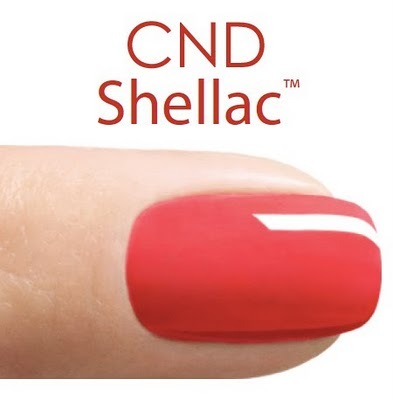 CND Shellac is an award-winning, specially formulated nail polish that paints like regular nail polish, and then cures under a UV light. Get high gloss nails that are instantly dry with zero chipping. The color stays on for weeks, or even a month; you’ll love your nails after this service. With Shellac Power Polish, the power is truly in your hands. Plus it’s hypoallergenic and contains no formaldehyde, toluene or DBP. I had a fantastic experience here as a walk-in client. Laura did a really great job on my foils and cut. I will definitely go back! It’s such a relaxing environment and I will be back for more than just haircuts!